Hong Kong’s flag carrier, Cathay Pacific Airways was founded in September 1946. Its fleet of 145 aircraft (with an additional 15 on order) depart from its hub at Hong Kong International Airport touching down in 42 countries and no less than 173 destinations including Johannesburg’s O.R. Tambo International Airport. Cathay Pacific Airways is an international airline registered and based in Hong Kong who offer scheduled passenger services to more than 110 destinations around the world. 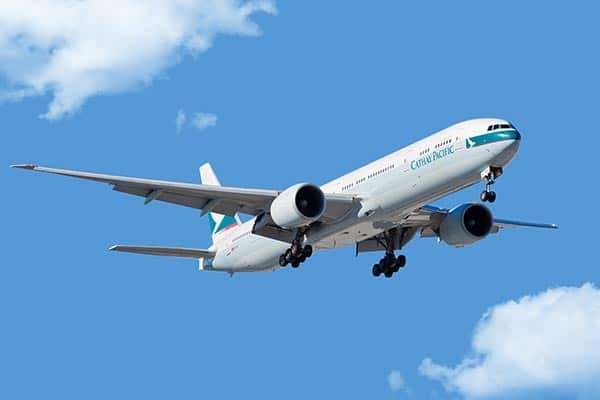 The Cathay Pacific Airways fleet of 146 wide-body aircraft is one of the newest to arrive in the skies. 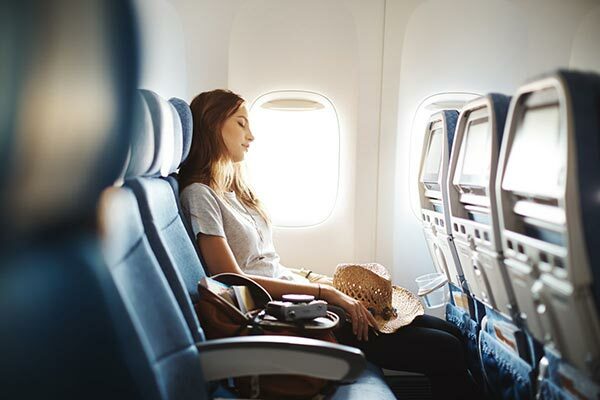 Cathay Pacific Airways is a member of the Oneworld alliance and a partner of Asia Miles, Asia’s major travel reward programme comprising over 8 million members. 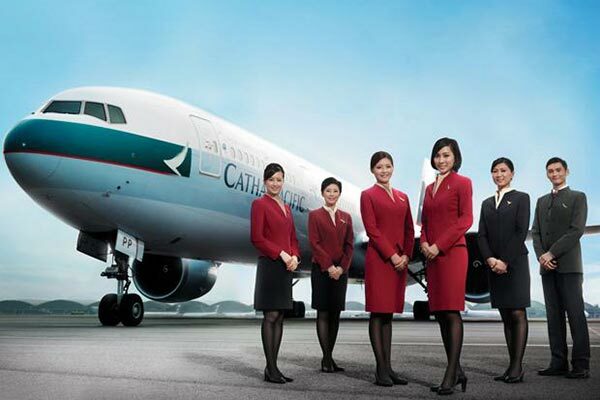 Cathay Pacific Airways has 8 subsidiaries including Dragonair, and Air Hong Kong and continues providing passengers with unrivalled service and a superb flight experience at affordable prices. The airline has already added, to the many others, 6 awards for 2016, one being, The Most Favourite Airlines Award from Weekend Weekly 15th Best Travel Agency Awards Election. To save time and queues, passengers boarding Cathay Pacific Airlines flights can check-in online, select or change their preferred seats, print or send their boarding passes to their mobile device (where applicable) for collection at the Self Check-In Kiosk in the airport. Luggage can be dropped off at the Self Check-In Bag Drop counter. Passengers can use their mobile device to check-in for themselves and their travelling companions, select their preferred seating and have their boarding pass sent to their device (where applicable). On-line and Mobile check-in must be done within 48 hours and 90 minutes before flight departure. All passengers in possession of e-Tickets can check-in online, with the exception of those needing medical assistance; Cabin Baggage Occupying Seat or Extra Seat requests and groups that are registered as a group in the booking. Easy and fast, passengers utilising the Kiosk to check-in can print their boarding pass after check-in, retrieve their relevant data and can do so within 48 hours of departure. Passengers swipe either their Marco Polo or Asia Miles cards or simply input their booking reference number. O.R. Tambo International Airports has this convenient facility available. At O.R. International check-in counters are open 4 hours before and close promptly 40 minutes prior to scheduled flight departure. Maximum dimensions are 23(h)x36(w)x56(l). Additionally, a small item such as a handbag, laptop bag, small backpack, camera or brief case bag may be taken. Other than your baggage meeting the stipulated weight requirements, there is no restriction on the amount of bags, except for flights to the Americas and New Zealand. Size restrictions may be applicable. Diners Club excluding flights departing from China, Africa, India and Sri Lanka. American Express except for flights departing from Nepal and China. Passengers must present the credit card used for payment for verification at check-in or when collecting their tickets. On-line payments can be made and are secured with SSL technology. Pay Later permits passengers to confirm their seats and pay within 24 hours. This option is only valid if the preferred seat has been confirmed within 72 hours of departure. Tel: +27 (11) 064 1100 – Mon to Thurs 08h30 to 16h30, Fridays 08h30 to 16h00. Tel: O.R. International Airport: +27 (11) 394 0905 – Mon to Sun from 06h30 to 15h00. Physical Address: No. 127 Design Quarter, Cnr. William Nicol Drive & Leslie Roads, Fourways, 2191 with no walk-in ticketing counter available.